Andy Warhol’s art is no longer just a symbol of popular culture. It has now become part of the cry to help the hungry children of the Santa Clarita Valley as part of this week’s Farmer’s Market and Art Walk. Local non-profit organizations Help the Children and the SCV Food Pantry are dedicated to alleviating hunger among children and families and helping them gain self-sufficiency and confidence. Both charities depend on the community to continue providing food, school supplies and other basic necessities to local families. Without the help of Santa Clarita residents, the Food Pantry would not have been able to deliver one million pounds of food in 2009. Help the Children has provided $7,000,000 in relief to 12 states and 52 countries to date, but it starts at the local level. 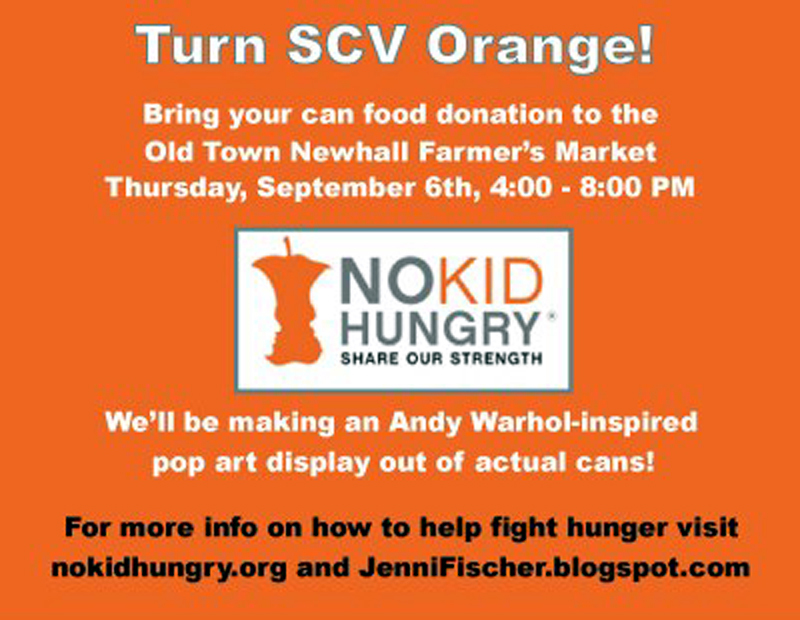 This Thursday Jennifer Fischer, co-founder of the Santa Clarita Valley Film Festival, invites you to partner with her in collecting canned goods for the Food Pantry and Help the Children as part of National Hunger Month. Fischer will have a booth between 4 p.m. and 8 p.m. at the weekly Farmer’s Market on Main Street in Old Town Newhall. She first became aware of the need among SCV families while partnering with local educators for the Script2Screen arts education program. Fischer spoke with the Food Pantry and Help the Children while producing the documentary “Underdogs: The Story of a Successful Public School” about McGrath Elementary, with a high percentage of minority students. She realized that the recession has pushed more and more families close to the poverty line. Sometimes a food bank is the only way they are able to put meals on the table. The booth on Thursday will have something for the whole family, including face painting and Andy Warhol inspired coloring pages featuring canned food for children.